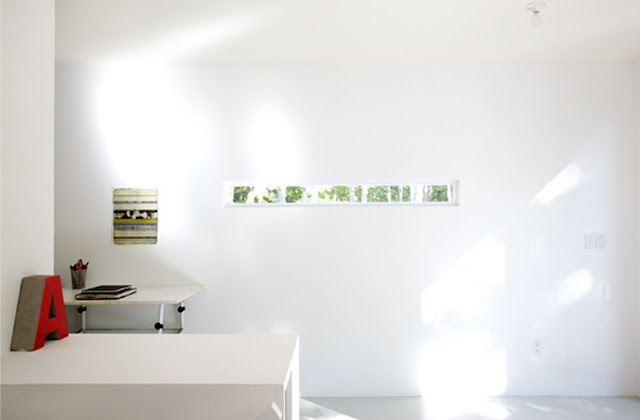 The client needed a small art studio close to her residence. 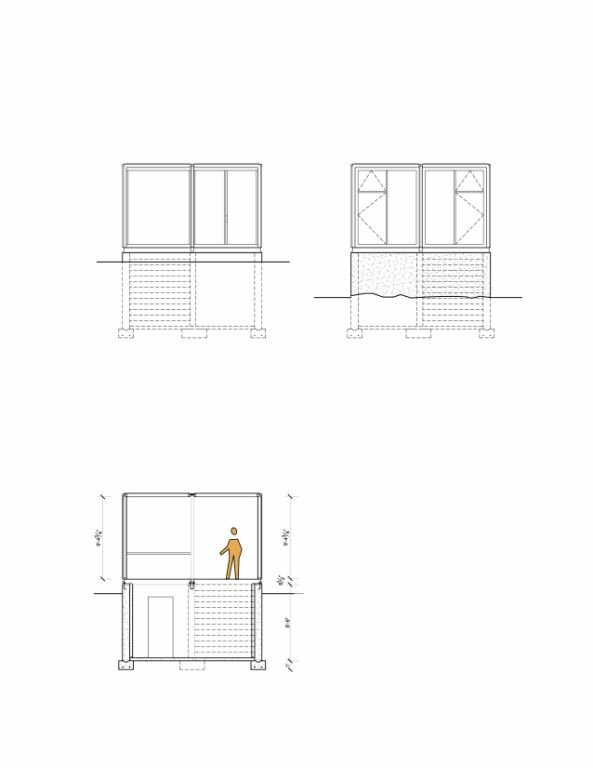 Her requirements were a stringent budget of $60,000 for a simple building that would be both reflective and inviting, located on an area of about 700 sf. 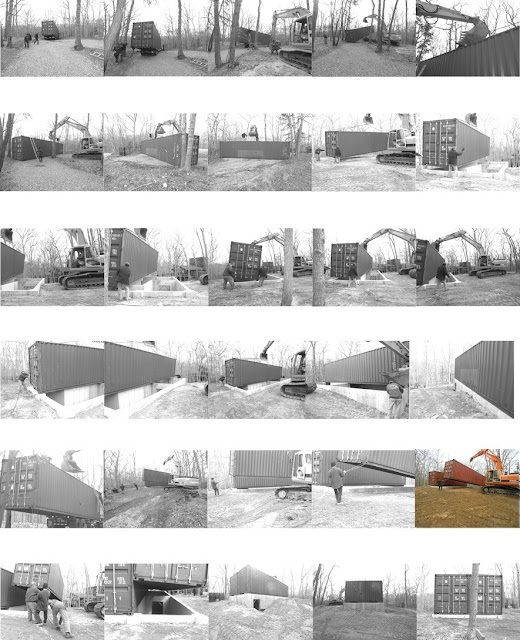 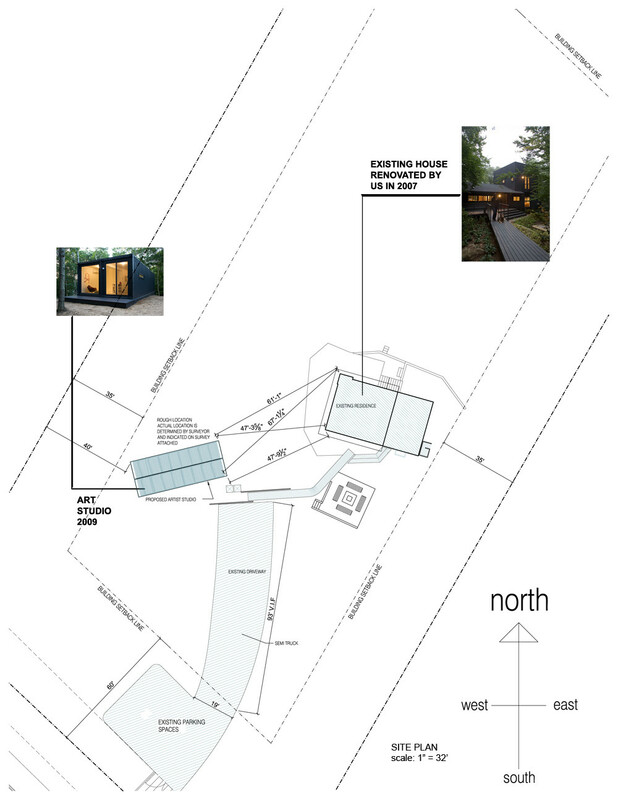 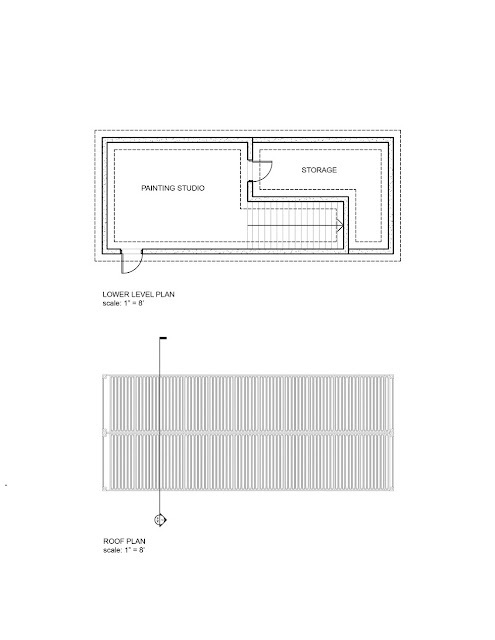 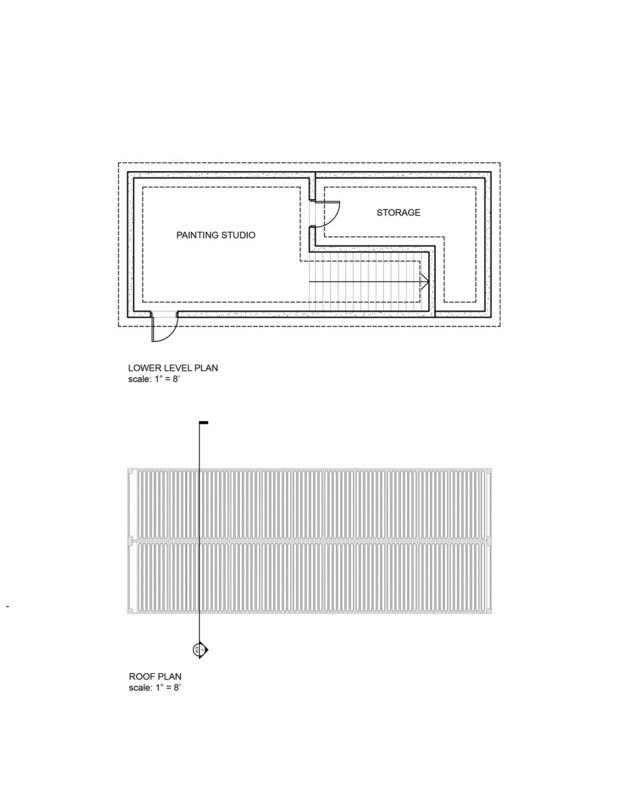 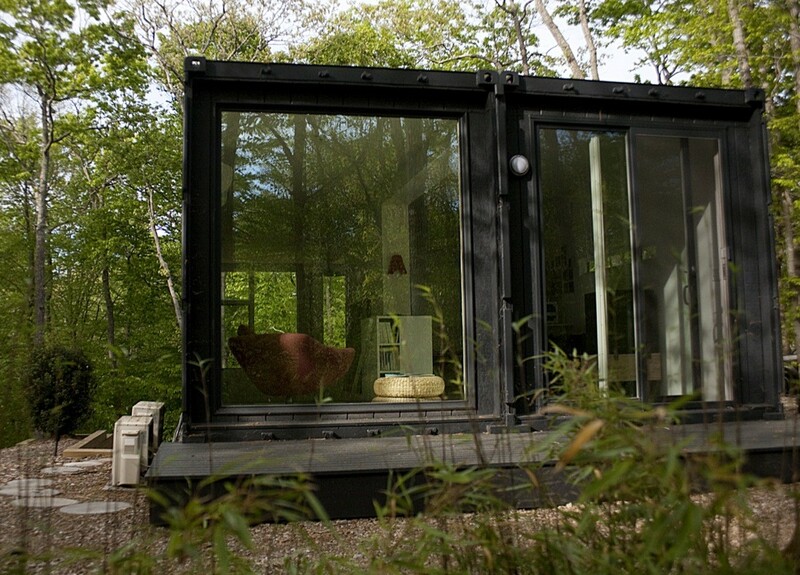 Architect's solution was to use two 40ft shipping containers perched over a foundation cellar/wall. 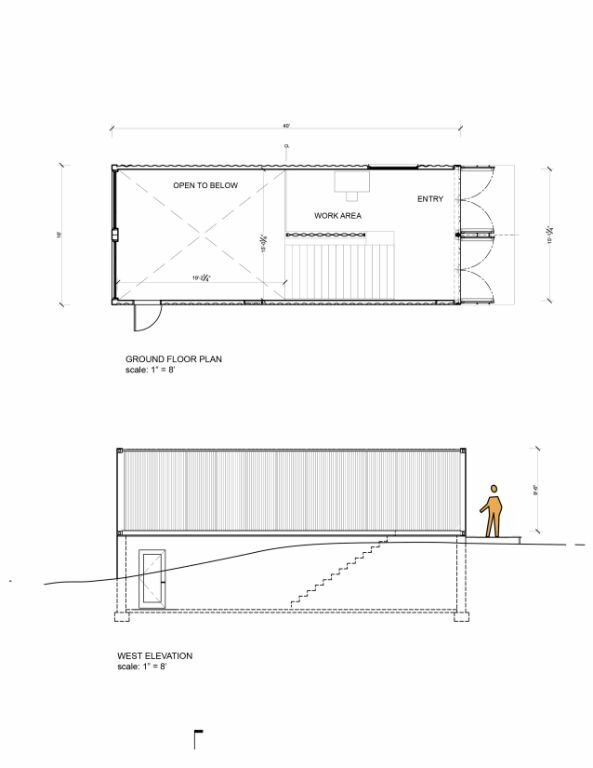 By cutting most part of the floor of the containers, architects were able to take an advantage of a high ceiling and to move the art studio to a lower level. 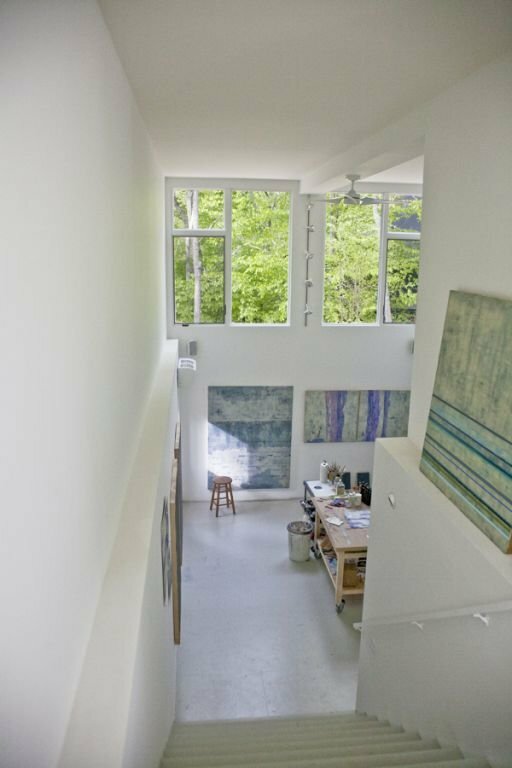 The staircase itself can act as a transitional space for viewing art work. The upper floor provides a sitting area and a more intimate work area. 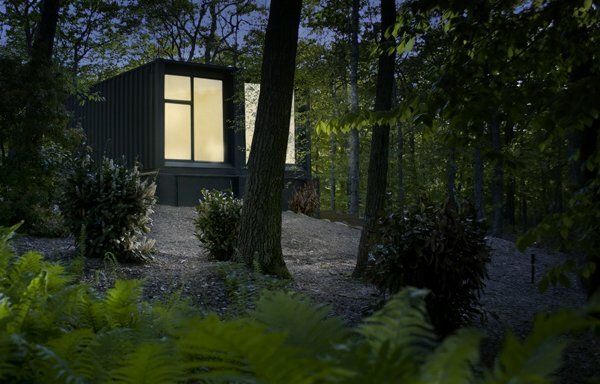 The container units were painted dark charcoal to help to maintain continuity with the main original house and to recede in the shadows of a dense wooded site. 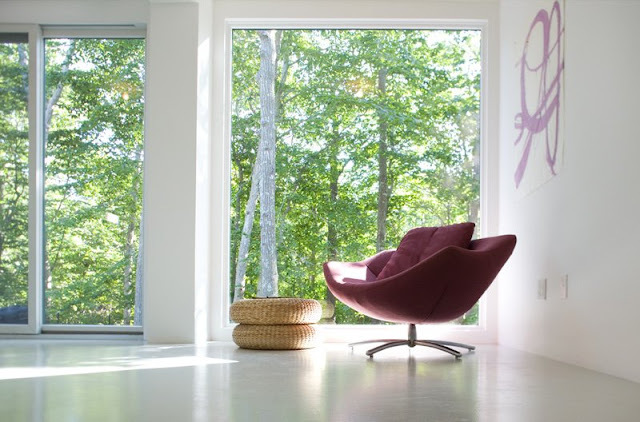 An award-winning architecture, consulting and design company based in Manhattan and Hamptons, New York.